Some people dread cold weather, but here at SML we look forward to Autumn and Winter as ideal seasons for planting up our latest designs. 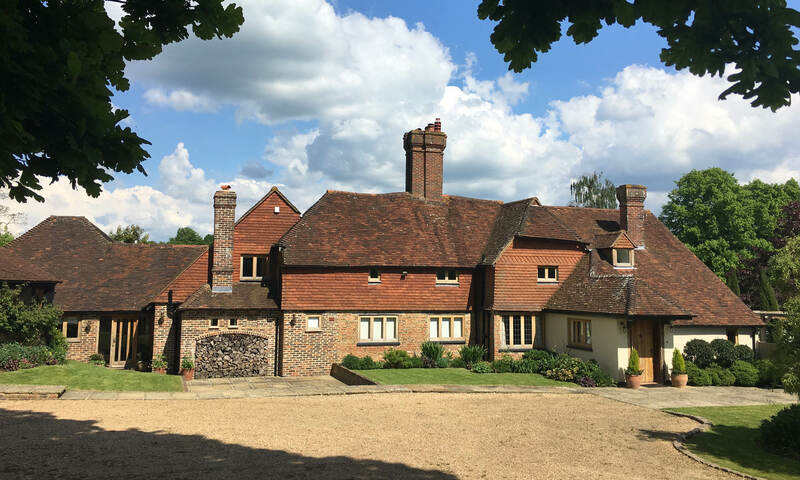 In Autumn this year we begin work on the first phase of an exciting project at Velhurst Farm, where the new garden will be seen against the backdrop of a Grade II listed building, two timber-clad barns and a small lake. 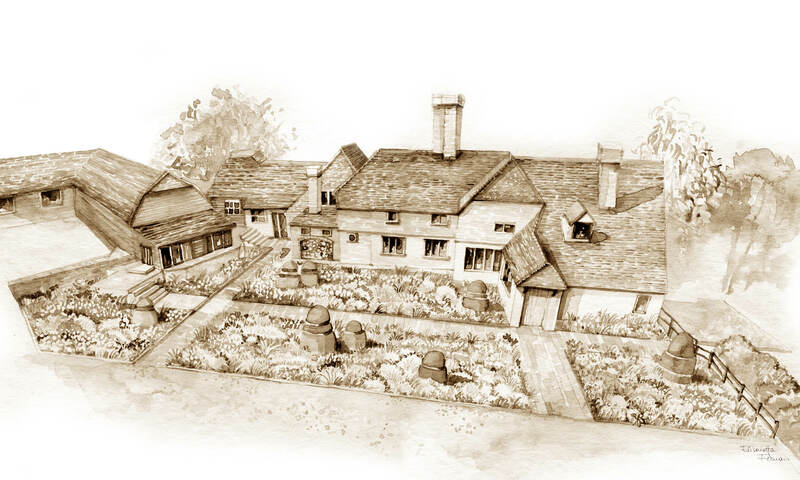 Our first focus will be the front of the building, where we will transform the approach to the house by levelling the ground and creating a series of generous beds bisected by broad paths. By the beginning of next year, these new spaces will be packed with Spring bulbs and attractive perennial plants, punctuated by bold topiary. This brand new scheme will ensure that there is always scent on the air, and the house presents a welcoming face to the world in every season. Two glass extensions are planned for the back of the building, one a dining room and the other a gym. Next year we will re-lay the terrace between them in York stone and create a pool as a focal point for the view from the gym. In Summer the terrace will be dressed with handsome furniture and an array of boldly planted pots. The final phase of the project will see us building a viewing platform to overlook the site, and an enclosed, or secret, garden. We will also open up views to the lake, transforming the slope between it and the house into a series of beautiful wildflower meadows.